Let’s talk texture! Allow our TEXTURE TEAM to enlighten you. During this session, an assessment on your crown (hair and scalp) is performed. 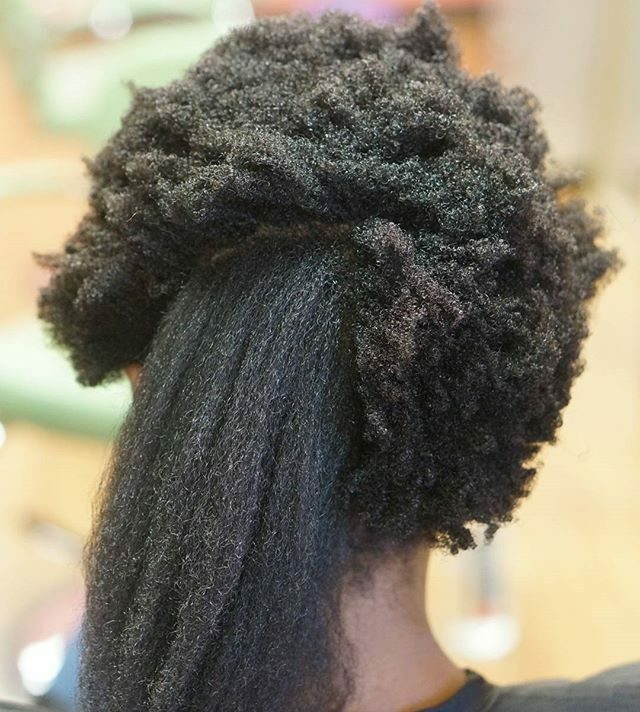 The porosity/ density of your hair is determined in order to successfully organize an effective hair regimen. we make sure Product knowledge, styling suggestions, and answers to all your questions are acquired before you walk out the door. You will be equipped with the information needed to live your BEST natural life. is your hair lacking protein? Are you experiencing excessive shedding or breakage? Suffering from color, heat, or chemical damage? Add a protein treatment to your service. think of a steam treatment as hair spa! Our naturals LOVE it. The hot steam swells your hair cuticle so that the conditioners, oils, and ingredients penetrate deeper into the shaft. eliminating shedding, helping improve dry scalp, defining curl definition and much more. You GLO girl! The ultimate curl defining experience. Our team of skilled artists will help you discover and enhance your true texture. Our renowned signature blowout will leave your tresses bouncing and behaving! This package includes a cleanse, deep condition, straighten, and trim. Here, we take texture seriously so we are on top of maintaining your curl integrity, taking all necessary measures to protect and prevent heat damage. Curls bounce back like they never left. Locs are our antennas to the universe. It is important that we keep them groomed and kept to maintain that connection. Hair must be CLEAN and free of ANY product. Please inform your stylist if you prefer no heat. SHAPE SHIFTING! This service is for the curly girl who wishes to wear her hair out in it’s natural state. Who needs it whipped into shape! Curls are always defined and cut dry. Note: this cut is NOT an even cut. It is cut according to where your curls live and how they fall. Jazz up those big chops, low cuts, or fades using clippers. “Love. Love. Loveeee my hair. My natural hair has never felt this good. I left the salon feeling like a totally different woman. I love the vibes of the salon. I felt so empowered and encouraged to continue my natural journey.